A few minutes away from the Olympic Forest Park you’ll find the China Science and Technology Museum housed in an impressive looking building. The museum consists of the main exhibition halls, the Science Paradise, a special effects cinema, and a short-term exhibition center. The Science Paradise is a section of the museum aimed at children 3-10 years of age. 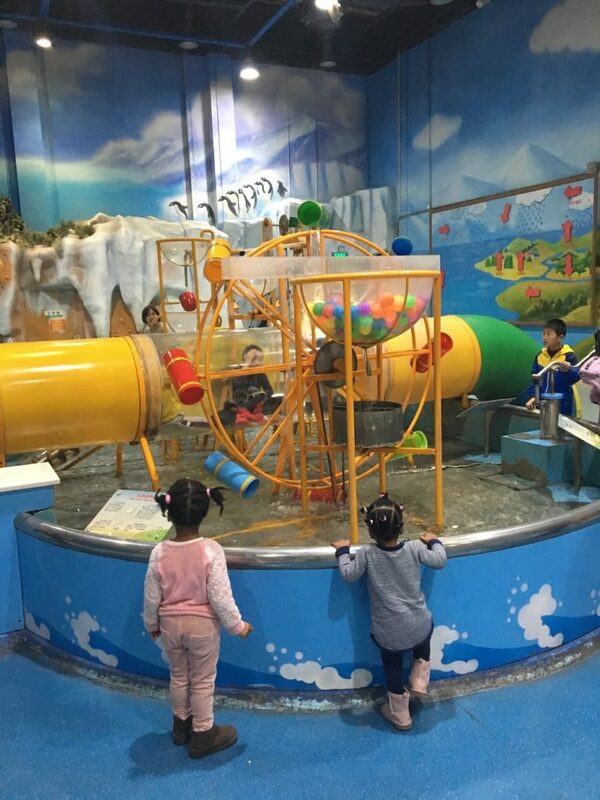 It’s similar to the Children’s Discovery Museum in that it is extremely child-centered, interactive, and educational. However, the Science Paradise is smaller and not as well maintained as its significantly more expensive counterpart. Nevertheless, the activities on offer are varied and engaging. My three-year-old took a real liking to the “bikes.” The purpose of this activity is for the children to pedal along a predesignated path, turn around, and then pedal back. Simple, but apparently so much fun. 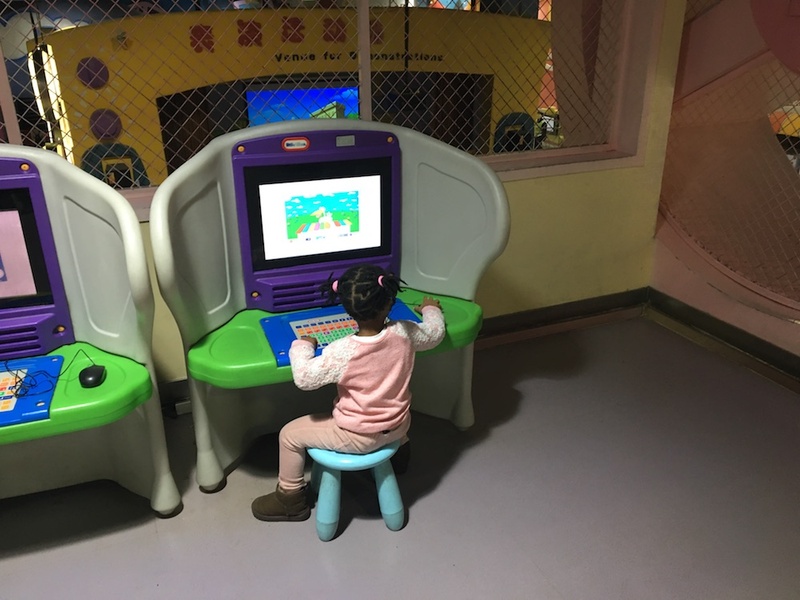 She was also very interested in another activity where you had to follow a color-coded system in order to match pictures of animals and plants to their natural habitats. After this, we discovered a demonstration area where a member of staff was performing some type of science experiment for the lively children that surrounded her table. We spent a moment observing the goings-on here, but alas it was all in Chinese, and so we soon moved on. Our next stop was the audio learning center. 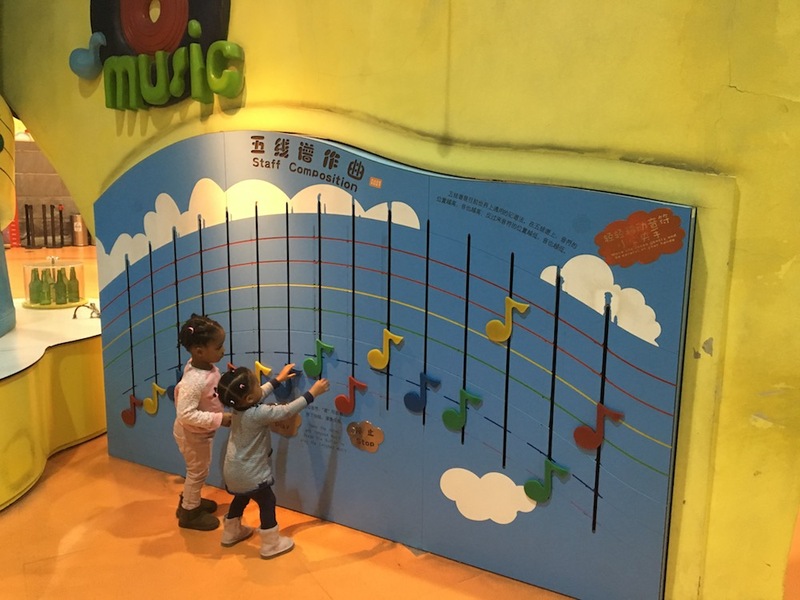 Here children use various apparatus and musical instruments to explore the power of sound. Right opposite the audio center is a place that I fondly refer to as “Bubble Land.” This is where children line up for their turn to use basins of soapy water and large metal rings to create enormous bubbles, to the sheer delight of both my daughters. Not far from “Bubble Land” is “Water World.” Here children explore the ability of water to move and be moved by different objects. As I expected, my girls were keen to experience the water in the fullest sense of the term. Fortunately, I was right onto their game, and quickly foiled their attempts to climb into the water tank. Next, it was time for a spot of horticulture. In the makeshift garden, the children “planted” vegetables. Seconds later they “picked” the vegetables that they had planted moments before. In another part of the Science Paradise, kids sport hard hats as they work alongside fellow young builders to tile a roof or operate a crane. Up a flight of stairs, we found a quieter area where you can use computers to further your scientific studies. We descended the stairs and stumbled upon a space where little learners can brush up (see what I did there?) on their oral hygiene skills, as they use a huge toothbrush to clean a giant set of teeth. In other parts of the museum, youngsters can pretend to be doctors or learn about food nutrition. There is even a space play area, where knowledge of the solar system is packaged in a creative and child-friendly format. 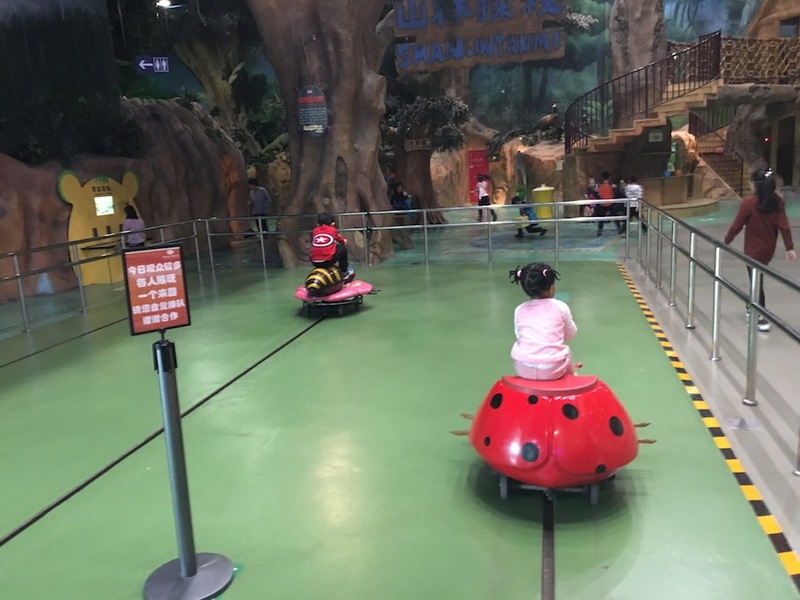 Lots to do, lots to learn, reasonably priced, and within walking distance from the subway station (Olympic Forest Park—line 8); all of these factors work together to make the China Science and Technology Museum well worth a visit.